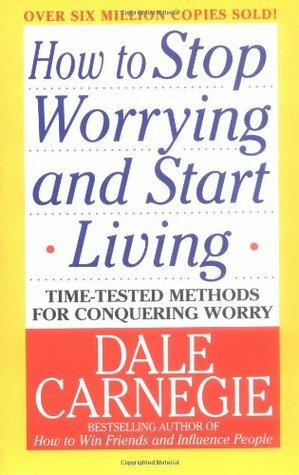 How to Stop Worrying and Start Living by Dale Carnegie may be an old book, but its advice is timeless. It was written by a man who was once poor, unhappy, and stuck in a rotten situation with absolutely no way out. Well, of course there’s no way out of a rotten situation, not until you find it! This book provides a simple, easy-to-follow guide for you to turn your life around and make it ten times better than you ever thought it could be. There are also plenty of stories taken from Carnegie’s own life and the lives of celebrities, as well as several heartfelt stories from people who wrote in to Carnegie about their struggles and how they overcame them. We have compiled all the advice given in this book into a series of actions for you to try out. Most of the actions will help you become happier, but there are also actions to help you achieve success and better your problem-solving skills. Try even one or two out, and you will see an immediate and significant improvement in your quality of life. Dale Breckenridge Carnegie (originally Carnagey until 1922 and possibly somewhat later) (1888 – 1955) was an American writer and lecturer and the developer of famous courses in self-improvement, salesmanship, corporate training, public speaking and interpersonal skills. Keep busy to avoid spiraling into depression. Follow the law of averages. Set limits for how much negativity you allow to enter your life. Unleash the power of your mind. Follow the “Just For Today” program. Give for the inner joy of giving, and not for external rewards. Don’t take unjust criticism to heart. Prevent fatigue so as to prevent worry. Do not let boredom keep you from being happy. Practice relaxing exercises to reduce anxiety, tension, and unhappiness. Concentrate on the present; do not allow anxiety to rule your life. Turn a bad situation into a good one. Solve worrisome situations without worrying. Take action, no matter how small, against your problems.